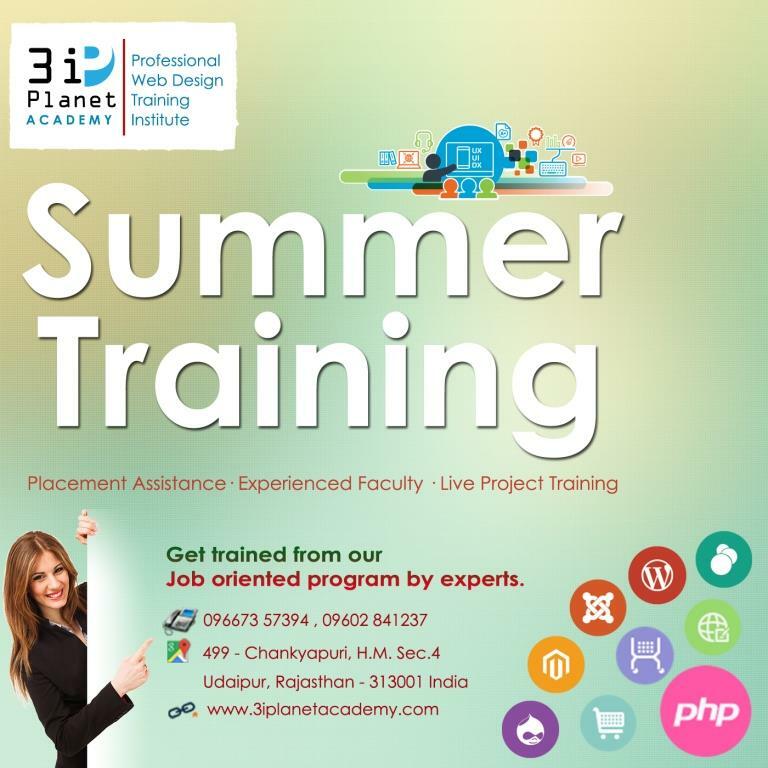 3i Planet Web Design Company is specialized in Web Designing Course, Live Project Training, SEO Training, Summer Training, Graphic Designing Course and other professional Short term courses like Adobe Illustrator course Training, Photoshop course Training, Desktop publishing software Adobe Indesign Training, Macromedia Freehand MX Training, Corel Draw Training, DIV and Table Based HTML, CSS Training, Flash Training etc. 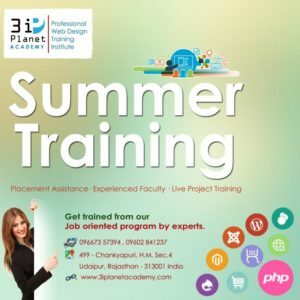 Company's training methodology is quite opposite to other web designing training, graphic designing training institutes in Udaipur, Rajasthan. 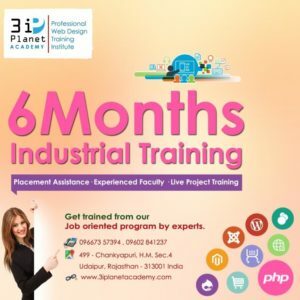 This Institute not only gives the training also provides real time exposure on subject and make them professional in web designing as well as in the field of graphic designing.  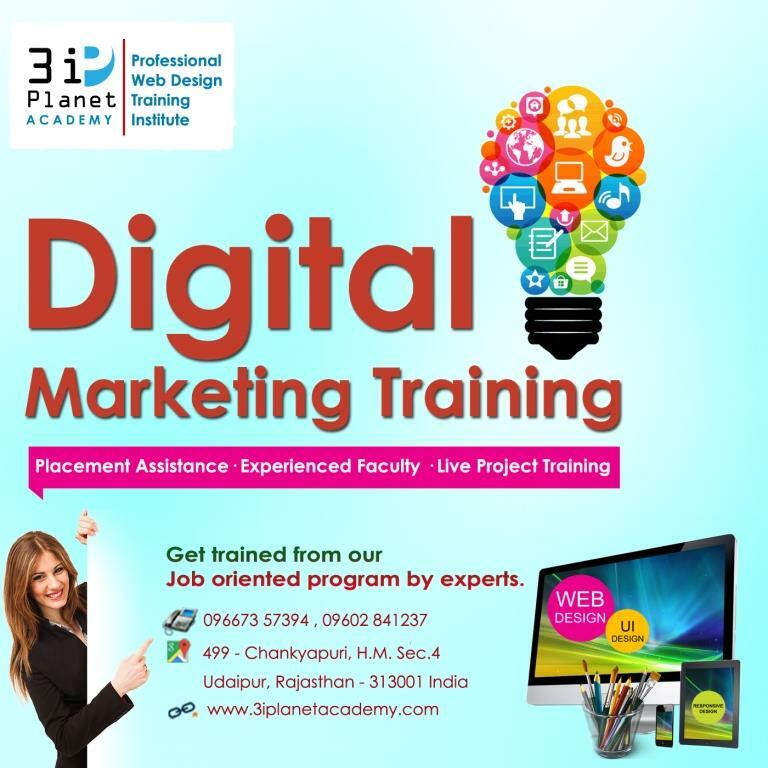 We are professional one of the best web designing institute / graphic designing institute in Udaipur, Rajasthan. 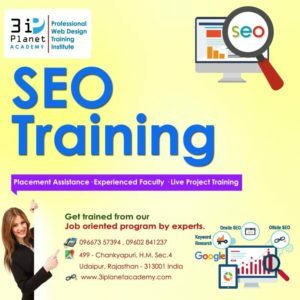 Institute is offering specialized 100% job oriented programs in Web Designing Course, Live Project Training, SEO Training, Summer Training, Graphic Designing Course. 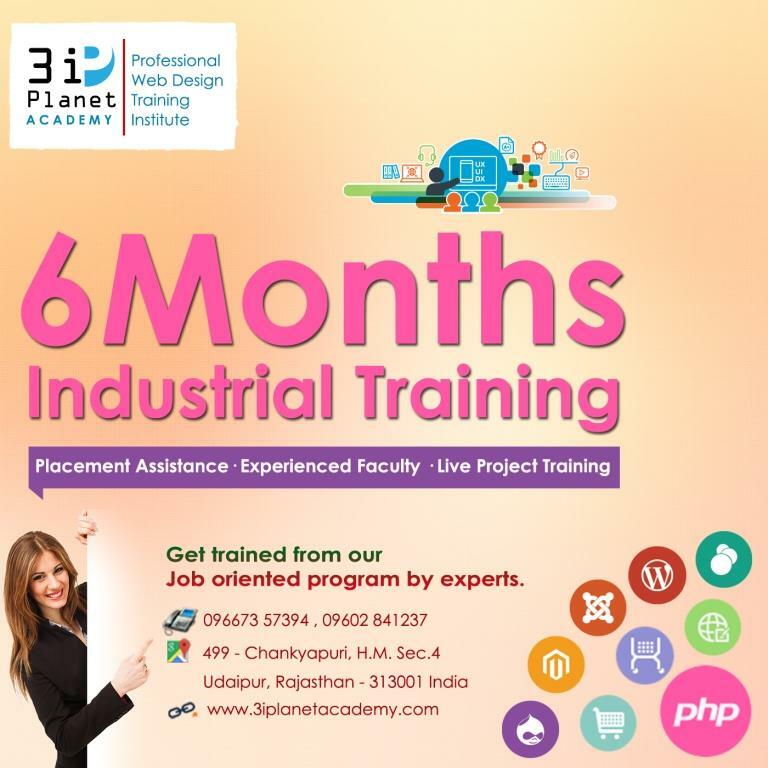 Institute also offers best possible corporate training to companies and our clients. 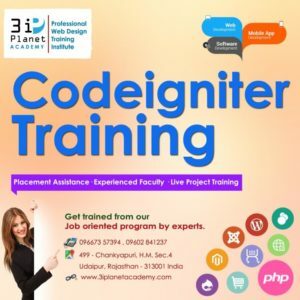 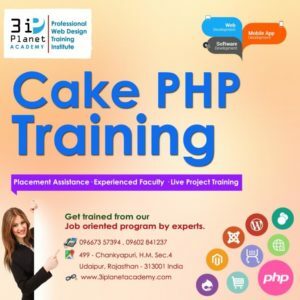 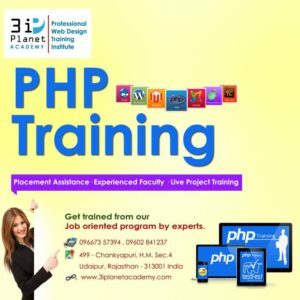 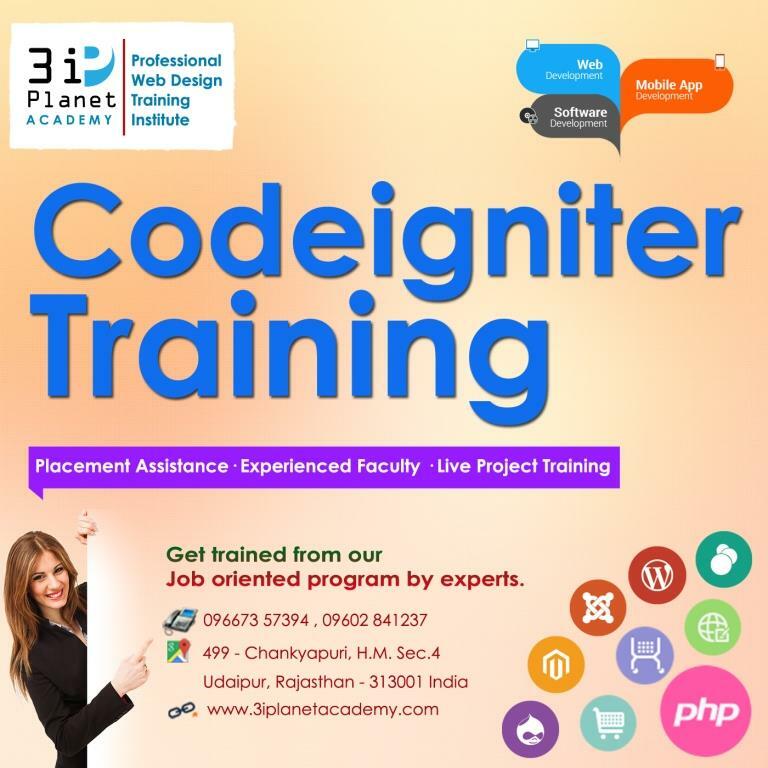 In our web designing institute every trainer is dedicated to provide best effective quality training by updating themselves based on the latest design tools. Institute is very proud to have such dedicated faculties, who are best in web designing training / graphic design training.